My name is Kim, and I’m addicted to frosting. Not rich buttercream goodness or silky ganache – I’m talking straight from a can sugarbomb madness. 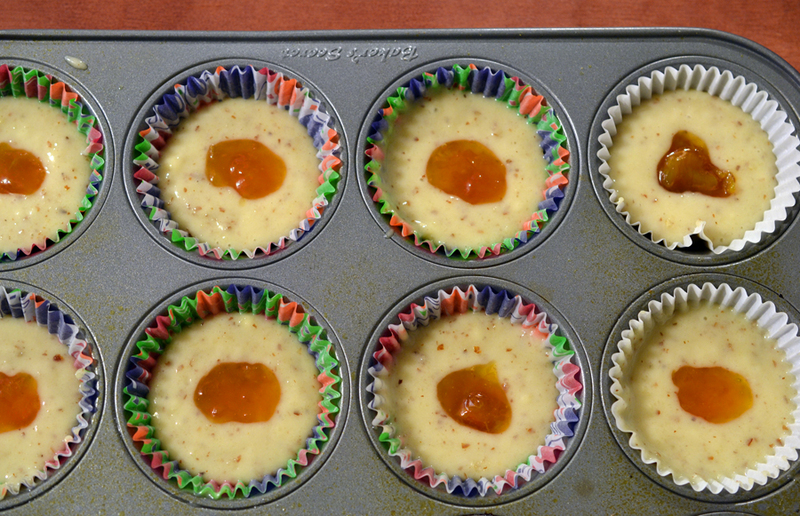 It’s one of those childhood pieces of nostalgia that sticks with you into adulthood, and is likely the reason why making cupcakes without any frosting has seemed like such a grotesque and bizarre concept to me. But things changed the other night when I offered to make the husband some cupcakes from Vegan Cupcakes Take Over the World (by esteemed vegan author Isa Chandra Moskowitz). 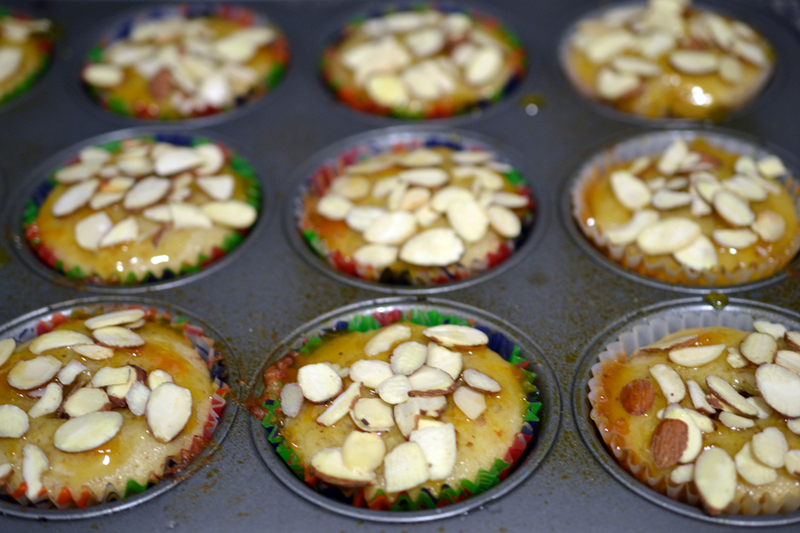 He flipped through, quickly requesting a set made with almonds and topped with apricot jam. “But where’s the frosting? !” I asked, sighing and resigning to the task. This batch, I figured, would be entirely for him and I’d maybe eat one to try, yet immediately made their way into my top cupcakes of all time list. Yes folks, they’re that good. I’ve made a few recipes from this book over the years, and frankly, I’ve never been sold. Vegan desserts have a bad rap in general as they can often be dry or just not taste as good, and while the sweets I’ve made from this source have been passable, I’d never choose one of them over a regular, non-vegan cupcake. But these apricot-filled delights are insanely convincing – you could take them to a party or serve them at a meal and your guests would have no way at all of knowing these are vegan. They’re moist, fluffy and have the perfect balance of flavors. You will love them. Ingredients-wise, Isa was a little vague in her recipe so I made a few executive decisions. Her writeup calls for just ‘soy yogurt’ – not sure if it’s just me, but plain soy yogurt tastes downright sour and horrible. I went with vanilla, as it tends to be a lot more convincing and went along nicely with the extract. I also added more almonds than suggested on the top, as the extra crunch and almond flavor goes brilliantly with the preserves. Finally, she suggests double the amount of glaze ingredients, which makes too much for the recipe, so I halved that for this post. Also, almond meal is only affordable if purchased in bulk (such as at a Whole Foods), else, just make some yourself. All it means is ground up raw almonds – either with the skin on, or without (from blanched almonds). I personally like the color of the ‘with skin’ variety and supposedly there’s health benefits as well, but either will work in a pinch. To make yourself, get some raw almonds and pulse in a food processor or coffee grinder until ground somewhat finely – just be careful to not go too far, or you’ll end up with almond butter! 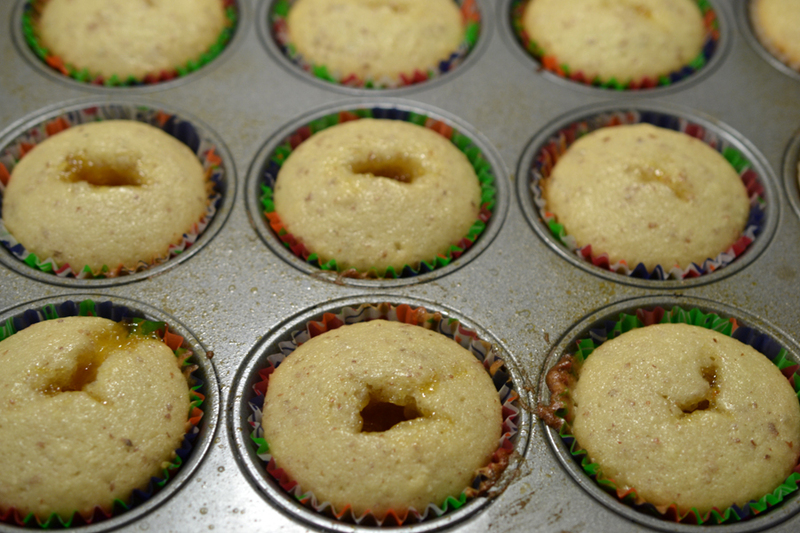 Fill cupcake liners approximately 2/3rd full – there is barely enough mixture for 12 cupcakes, so you may want to slightly underfill each liner and then top off with any extra you have left. 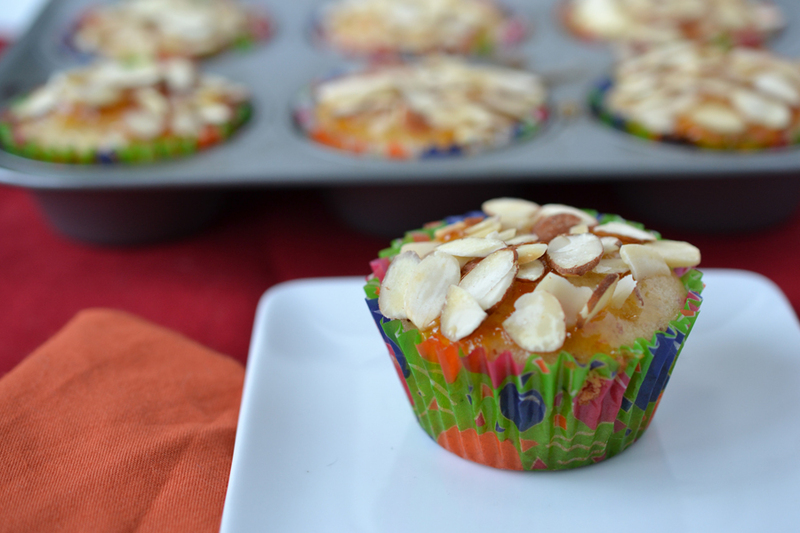 Assemble by brushing the top of each cupcake with the glaze, followed by a adding a single layer of almonds. I hope you’ll enjoy these cupcakes as much as I did! 2 Comments on "Vegan apricot-filled almond cupcakes"
Dang it, Kim. Now I have to see if I can make these gluten free.